David Puttnam spent 30 years as an independent producer of award-winning films, including The Mission, The Killing Fields, Local Hero, Chariots of Fire, Midnight Express, Bugsy Malone and Memphis Belle . His films have won 10 Oscars, 25 Baftas and the Palme D'Or at Cannes. From 1994 to 2004 he was vice president and chair of trustees at the British Academy of Film and Television Arts (Bafta) and was awarded a BAFTA Fellowship in 2006. He retired from film production in 1998 to focus on his work in public policy as it relates to education, the environment and the creative and communications industries. 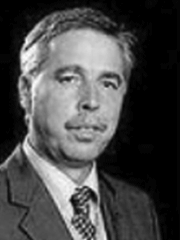 In 1998 he founded the National Teaching Awards, which he chaired until 2008, also serving as the first chair of the General Teaching Council from 2000 to 2002. From July 2002 to July 2009 he was president of Unicef UK, playing a key role in promoting Unicef’s key advocacy and awareness objectives. Lord Puttnam is the present chancellor of the Open University, following ten years as chancellor of the University of Sunderland. He is president of the Film Distributors’ Association, chairman of The Sage Gateshead, Deputy Chairman of Profero and a trustee of the Eden Project. He was deputy chairman of Channel 4 Television from 2006 until January 2012. He was founding chairman of the National Endowment for Science, Technology and the Arts (NESTA) and for ten years chaired the National Museum of Photography, Film and Television. He has also served as a trustee of the Tate Gallery and the Science Museum. 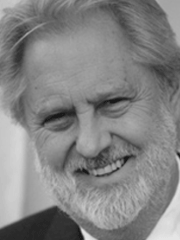 In 2007 Lord Puttnam served as chairman of the Joint Parliamentary Committee on the Draft Climate Change Bill, having performed the same role on the 2002 Communications Bill. He has also been chairman of two Hansard Society Commission Reports on the relationship between Parliament and the public. 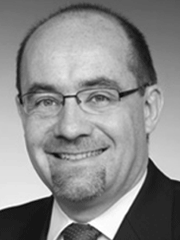 In addition, David serves as senior non-executive director on two public companies. Lord Puttnam was awarded a CBE in 1982, a knighthood in 1995 and was appointed to the House of Lords in 1997. In France he was made a Chevalier of the Order of Arts and Letters in 1985, becoming an Officer in 1992, and a Commander in 2006. He has been the recipient of more than 40 honorary degrees from universities in the UK and overseas. 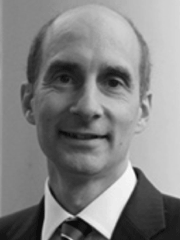 Andrew Adonis, Baron Adonis of Camden Town, took his seat in the House of Lords in May 2005, initially serving as the Parliamentary Under-Secretary of State for Schools and Learners in the Department for Education and Skills. During his time in the role, he called for the creation of additional academies, specialist schools and trust schools. After three years Lord Adonis moved to the Department for Transport as a Minister of State and was promoted to Secretary of State for Transport in June 2009. He served in that role until the change in government in May 2010. Between July 2010 and January 2012 Lord Adonis served as director of the Institute for Government, an independent charity with cross-party and Whitehall governance working to improve government effectiveness. He is chairman of Progress, the Labour modernisers' organisation. Prior to sitting in the House of Lords, he worked in business, academia and the media. Between 2001 and 2005 he served as director of the No 10 Policy Unit. He has been recognised as Labour’s most innovative public service reformer. Jim Knight, Baron Knight of Weymouth, was the longest serving Schools Minister in the last Labour government. He attended weekly Cabinet meetings in the year running up to the 2010 general election as Employment Minister. After the election, he was then made a life peer in the Dissolution Honours List. Prior to his Parliamentary career, Lord Knight was a director of a publishing business in the West Country, leader of the Labour group on Mendip District Council, and Mayor of Frome. Lord Knight’s main policy interests are education, employment, skills and digital technology. He works as a consultant specialising in advising on the use of technology in education and employment. Lord Knight is currently working with TSL Education, ITN Consulting, E C Harris, Apple Europe, Alderwood Education and Step-A International Ltd. He is also on the board of the Arsenal Fanshare Society, is chair of the Institute for Education Business Excellence and the UK Online Centres Foundation, and is a trustee of the e-Learning Foundation and CDI Europe. Owen Lynch has over 30 years’ experience in the field of education and educational technology, including being the CEO of Becta. Mr. Lynch was appointed to this role in 1998 by the then-Education Secretary David Blunkett. During his tenure as chief executive, Becta became the Government’s lead agency in the use of ICT in education and, as such, was recognised nationally and internationally for its work in this field. As CEO of Becta, Mr. Lynch offered advice to ministers and officials in Northern Ireland, Scotland and Wales, as well as England. Mr. Lynch sat on the major UK government ICT strategy groups and also sat on the boards of a number of government education agencies. Mr. Lynch was responsible for the successful coordination and delivery of the government’s e-strategy for education; developing and implementing an overarching delivery strategy and establishing its effective programme management across some 25,000 schools and colleges. Mr. Lynch’s responsibilities included: negotiating, at a senior level, on behalf of UK schools and colleges with national and international players in the global ICT marketplace; designing and delivering national ICT initiatives including governance and organisational issues; developing an evidence base on the impact of ICT on education objectives to inform policy decisions and implementation practices; and developing strategy to ensure the delivery of best practice, sustainability and affordability in relation to ICT initiatives. Since stepping down from his CEO role in 2006, Mr. Lynch has operated as a senior consultant in the educational policy, strategy and procurement field to international private sector companies, government departments and Government agencies. This work has revolved around advice on policy and delivery programmes, with particular emphasis on educational and economic impact, and procurement efficiencies. Mr. Lynch continues to ensure that he has recent and relevant experience of policy and strategy developments in the field of ICT and education by visiting and reviewing education practices internationally. Recent work includes: reviewing the TCO of a large scale, one-to-one deployment of some 750,000 units in primary schools in Portugal; reviewing a content strategy for a joint venture; supporting the development of strategies for the deployment of ICT in federal and state contexts in India; reviewing the ICT services and practices in independent schools within the Middle East; advising an ICT multinational company on its education strategy and offerings in ‘cloud computing’ for schools; and developing a series of reports for the French government and French ICT providers on educational, technical and market issues to do with the procurement and deployment of VLEs and learning platforms in education. 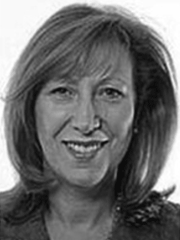 Patricia Morris, Baroness Morris of Bolton, is a former Shadow Minister for Education, Children, Families and Women and opposition whip for the Conservatives. She is currently Deputy Speaker in the House of Lords. Baroness Morris became a life peer in 2004 and has previously been vice-chairman of the Conservatives with responsibility for candidates. She was responsible for several changes in the selection procedure designed to increase the quality and diversity of Parliamentary candidates. Baroness Morris was nominated for a peerage by the then-Conservative Leader Iain Duncan Smith and entered the House of Lords in June 2004. She joined the Conservative front bench as a whip in September of that year. In June 2005 she was appointed Shadow Minister for Children, Young People, Families and Women and in October 2006 she became principal opposition spokesman for Education and Skills. Morris relinquished her role as Shadow Minister for Children, Schools and Families at the end of 2008, but remained Shadow Minister for Women and an opposition whip until 2010. Baroness Morris was born in Farnworth in 1953 and now lives in Bolton. Her husband William is a judge. She is president of the National Benevolent Institution and a trustee of The Disability Partnership and The Transformation Trust. She is a governor and Trustee of Bolton School (which she attended as a child), a patron of the Oxford Parent Infant Project and vice-chairman of the All-Party Parliamentary Groups for Breast Cancer and Children. She is co-chairman of Women in Public Policy and on the executive committee of the Association of Governing Bodies of Independent Schools. Baroness Morris was a member of the Advisory Committee to the Abbot of Ampleforth from 1998 to 2004. She has also served as deputy chairman of the Salford Royal Hospitals NHS Trust, as a director of Bolton Lads and Girls Club and was a member of the Conservative Party’s Social Work Commission. She joined the Board of Trustees of Unicef UK in 2007. On 27 November 2009, it was announced that Baroness Morris had been appointed as the first chancellor of the University of Bolton, with a three year term of office beginning on 1 January 2010.